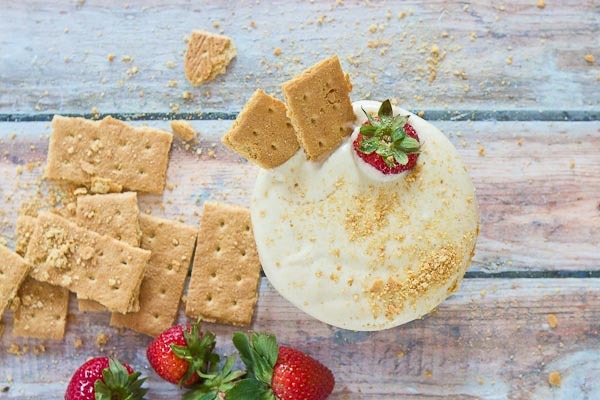 Calling all Strawberry Cheesecake lovers in the house… this recipe is for you. 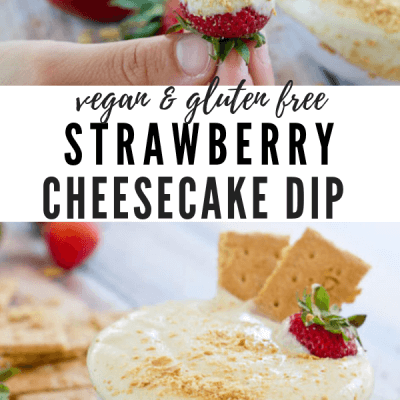 This Strawberry Cheesecake Dip is vegan and gluten free and made with only 5 ingredients– cashews, cashew milk, maple syrup, vanilla extract and strawberries for dipping! 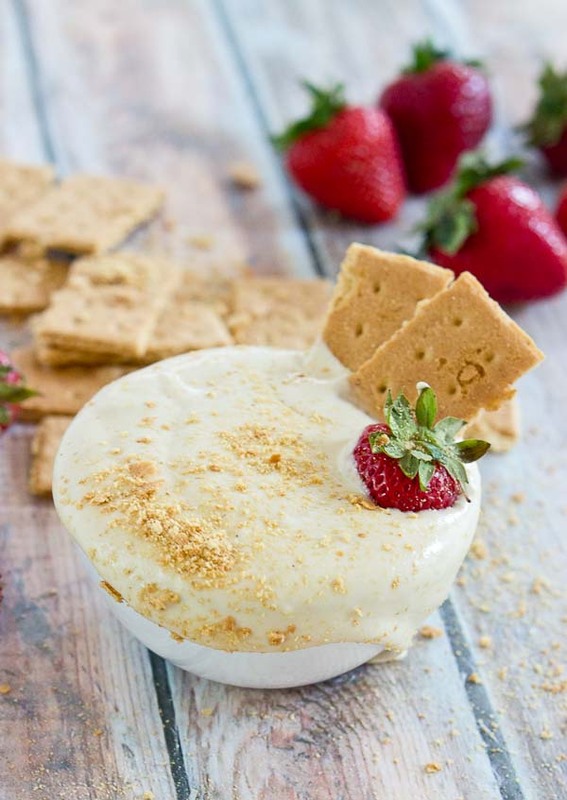 Strawberry Cashew Cheesecake Dip is vegan, gluten free and will be your new favorite healthy dessert recipe! Right now, while you are reading this I’m at the beach. Thank the good God in heaven above it’s FRIYAY an it’s family vacation time. We’ve totally needed a LONG weekend to rest and recharge. Yes, there is not really “resting” these days with an all over the place 9 month old but at least we are at the beach with family. 🙂 My big plan this weekend is to leave my phone in the room much of the time. I want to disconnect from email and social as much as possible to feel like I’m on vacation. This will not be easy but I realize it’s so needed. It’s easy to get burned out working all.the.time when you own your own business. It’s hard to disconnect when keeping the lights on means you need to stay connected and engage on social media. But health is so important to us and taking breaks throughout the year is needed for balance and to recharge the batteries. I hope you all have a wonderful weekend if you’re at the beach, lake, or in the mountains or having a low key weekend at the Farmer’s Market. We love those types of weekends. 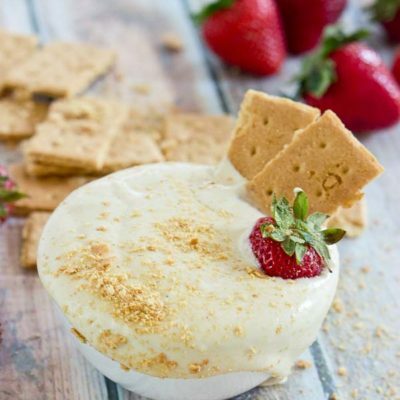 You better believe I’ve already had my fare share of this cheesecake dip because it’s like dabomb dot com and it’s so easy to prepare. Cashews, maple syrup, vanilla extract, and cashew milk. Gosh it’s so simple. 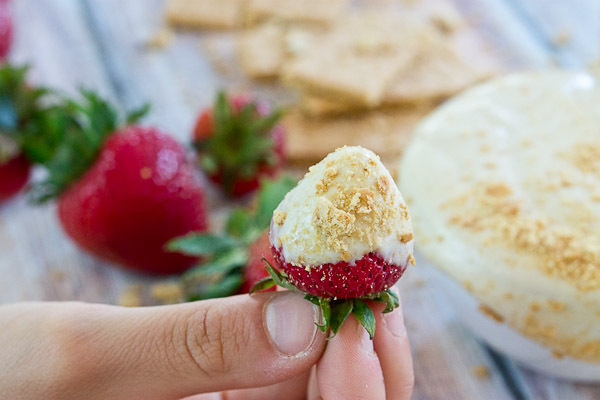 Dip graham crackers and strawberries into the dip for good measure. Or use your fingers, no one is judging here. 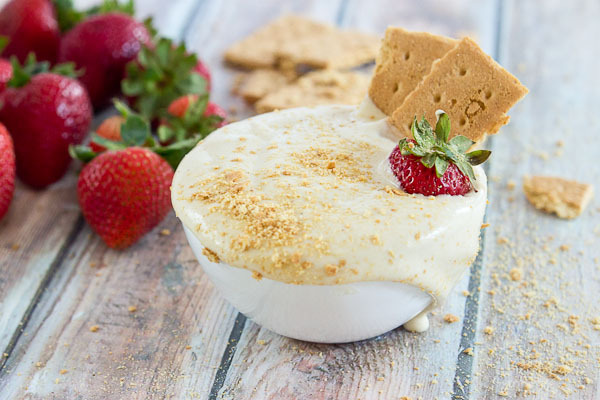 Now you can have your cheesecake and eat it too AND you can feel all healthy about it, go ahead and enjoy this one for breakfast if you wish. 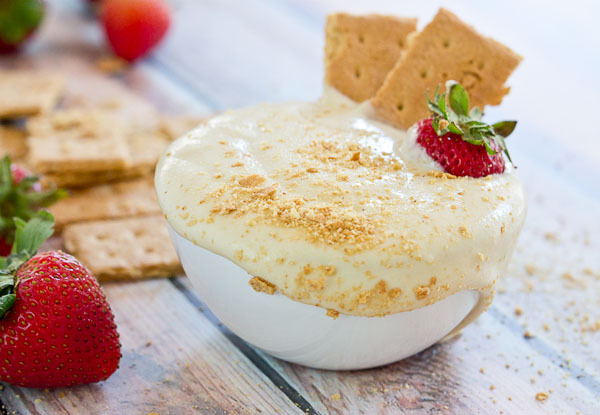 Place all ingredients in a high powered blender and process until smooth and creamy. This will take a few minutes. Place in fridge or freezer for a few minutes to chill and allow mixture to thicken a little bit. 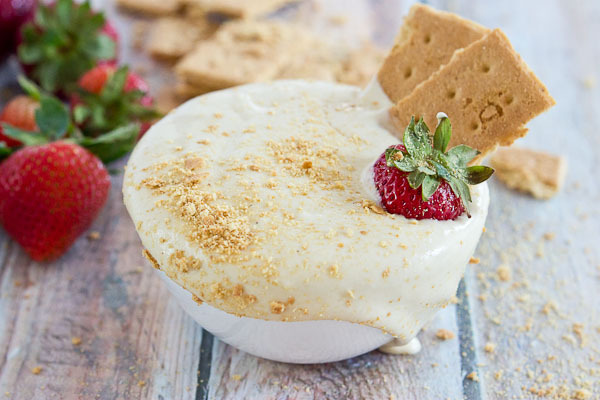 Serve with fresh strawberries and graham crackers for dipping. I’d love to see more recipes that are more allergen friendly besides just gluten (nut free, egg free, etc.). Thanks for your feedback 🙂 I’ll get to work. Yum, this looks so simple and delicious. Can’t wait to give it a try! Thanks Karen! Simplicity at it’s best. Cashews are magic.